Britney Spears’ Baby One More Time spent 10 weeks at number one on Billboard’s Top-100, the Plymouth Prowler was in its third year of production, John Elway just won his second Super Bowl ring, the Dow Jones Industrial Average (DJIA) and S&P 500 were both up over 300 percent on the decade, and Slide by the Goo Goo Dolls found its way to number ten on Billboard’s chart. It was 1999, and the Goo Goo Dolls just so happened to have the perfect adjective to describe the next two decades: an economic “slide” for the average American. Whereas Johnny Rzeznik contemplated the dilemma of abortion, he never could have predicted just how profoundly applicable the concept would prove over the ensuing 20 years, when America would ultimately abort the principles of freedom and the prospect of the American dream in pursuit of expedient political advantage. The transformation of the American economy is perhaps best characterized as one which originally operated to the benefit of each engaged individual, for himself or his family, to one today which increasingly carries the burden of sustaining the expensive boondoggles of government. Nowhere is this consequential transformation more readily apparent than in the composition of the average American household. According to a Pew Research Center analysis, in 1960 roughly three-quarters of American households depended upon a single income-earner: just 25 percent of households had dual incomes at the time, compared to roughly two-thirds of today’s American households. Just as portrayed in the mid-twentieth-century television sitcom Leave It To Beaver, the father (or husband) would task himself as the primary breadwinner for the family, whereas the mother (or wife) would assume responsibility for childcare and homemaking. In this arrangement, the mother (or wife) worked exclusively for her own family in the performance of household affairs; she needn’t generate any supplemental income for her family, due to the benefit of her husband’s sufficient productivity. What’s more, despite the absence of dual-income households, average Americans still saved between 10 and 12 percent of their income, compared to a measly 2 percent today, with dual incomes to boot. In 1960, Americans worked, saved, prepared for retirement, and maintained their family units. Today, we can still see the work; there’s just little saving, diminishing productivity, even less retirement preparation, and increasingly fewer surviving families. Another Pew Research Center survey corroborates this alarming trend: the decline of two-parent households. According to the report, two-parent households are down from 87 percent in 1960 to 69 percent today. That rate stood at 74 percent in 1999. Pew also found that black and hispanic children, and those with less educated parents, are less likely to be living in two-parent households. Whereas 71 percent of Asian children and 52 percent of white children are living with parents in their first marriage, 43 percent of hispanic children and merely 22 percent of black children are living with parents in their first marriage. Only 13 percent of Asian children are living in a single-parent household, compared to 19 percent for white children, 29 percent for hispanic children, and a whopping 54 percent for black children. With respect to education, 46 percent of single-parent households are headed by parents with less than a high school degree; 41 percent by parents with a high school degree; 32 percent by parents with some college experience; 12 percent by parents with college degrees. With the continued emergence of fragmented households, fewer children are bound to develop the requisite skills to flourish professionally and interpersonally. In an environment of economic underproduction, professional and academic under-preparedness, social and familial dysfunction, and a growing affinity for democratic socialism, we are gradually sewing the seeds for our own mutually-assured destruction, a vicious vortex palatably promoting poverty. We can visualize this evolving destruction across time if we just take a look. If there’s a trend particularly jarring about the trajectory of median household income, it has been the nominal dollar rise which has accompanied a real depreciation of the goods and services it can actually afford to buy. One needn’t even journey very far to discover a stunning comparison. In this case, we’ll take a look at a more modern and graspable comparison: prices from 1999, just two decades ago, when the American stock market was similarly overvalued, the DJIA-to-GDP ratio hovered at then-record highs, and the official (U3) unemployment rate registered around 4 percent, all features of modern America in 2019. However, there are some very conspicuous differences: government outlays constituted $3.1 trillion in 1999, accounting for 31 percent of GDP at the time, whereas present government outlays exceed $7.6 trillion, or 37 percent of reported GDP. Of course, the methodology of GDP has changed incrementally over the years to paint a deceivingly-favorable picture of the aggregate economy, but even the headline figures illuminate a telling trend about the American economic landscape. When we investigate the American debt picture, much has changed there as well. In 1999, the public debt rose 2.4 percent from the prior year to $5.656 trillion, 58 percent of GDP. As of the time of this writing, the public debt is reported at $21.946 trillion, averaging an increase of 7.3 percent per year since 1999, amounting to 107 percent of annual GDP. In total, by the end of 2019, the United States government will have added more than $17 trillion of additional debt over that 20-year period, a 288-percent increase in all, an average of $853 billion added to the debt each year. Mind you, this figure grossly underestimates the total debt picture of the United States government, as it neglects to capture off-budget and future liabilities that easily nudge the sum total over the $100-trillion level. Without further ado, let’s explore those price comparisons between 1999 and today to better appreciate just how this has all panned out for the median household in the United States over the past two decades. In performing this task, we’ll look at the goods we intend to buy and enjoy, not just the dollars — or Federal Reserve Notes — we use intermediately. Median household income in the United States presently amounts to 15,503 Big Macs. While this may sound like a lot of Big Macs, it’s actually 1,781 (10 percent) fewer Big Macs when compared to 1999. Against that same measure, whereas nominal dollar-priced GDP reflects an average annual growth rate of 2.3 percent between 1999 and 2019, real GDP is actually shown to have declined by one-tenth of a percent over that period as denominated in Big Macs. Put another way, measured against gold, median household income is worth 97 fewer ounces, or 67 percent less, compared to 1999. The average new car cost 41 percent of median household income in 1999, whereas Americans spend 59 percent of median household income today. Just as we did with Big Macs, we can also track GDP growth against gold. In this case, real GDP declined by an average of 2.85 percent per year. Put still another way, the median household earns the equivalent of 24,743 gallons of gas, compared to 32,307 gallons in 1999, a loss of 7,564 gallons (24 percent). The average certificate of deposit (CD) paid between 4 and 5 percent throughout 1999, whereas today’s CDs return between 2 and 3 percent. While the average savings rate in 1999 was historically low at the time, just below 2 percent, today’s rate of 0.09 percent makes it look like an incredible bargain. Across staple grocery items, median household income has declined 15 percent against bread, 8 percent against rice, and 21 percent against eggs. While the American workforce earns more dollars — more accurately labeled Federal Reserve Notes — the median household doesn’t appear to be any better off than it was in 1999, let alone 1950, when more than two-thirds of women didn’t even have a job outside the home. Meanwhile, prime-age labor force participation has noticeably declined over the past two decades: from 92 percent and 77 percent among men and women, respectively, in 1999 to 89 percent and 74 percent today. So while Americans have spent increasingly more on government, and they have assumed appreciably more debt, they have little to nothing to show for it. In fact, tepid GDP growth over the past decade — 1.67 percent — lags behind the 3.23-percent growth of the 1990s, even despite zero-percent interest rates, quantitative easing and the debt-financed frenzy that has pulled forward spending to buoy asset prices and goose short-run GDP, effectively drawing from future GDP, spending and investment. All that considered, with GDP as weak as it is now, just imagine how weak it will be once that faucet of easy credit shuts off and runs dry. 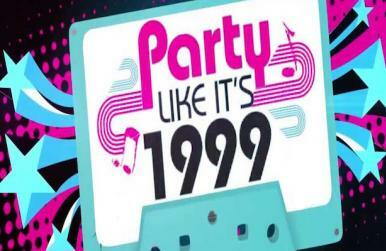 In all, it appears that Americans are no longer partying as they did back in 1999, despite the best efforts of the government and the Federal Reserve to keep producing that illusion. Fortunately for the average American, social media, legalized marijuana, and internet streaming services are available to keep the median household from even noticing the difference; that is, until their paychecks can’t even afford toilet paper, much less their monthly Netflix and Hulu bills.